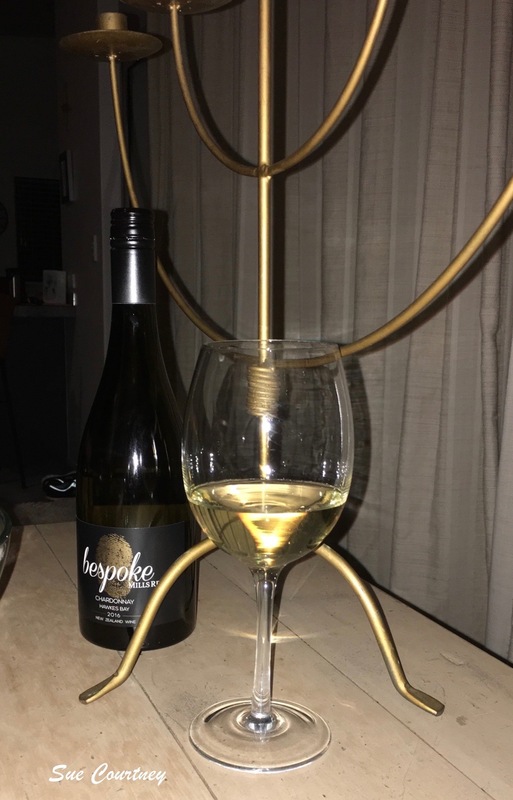 I first tasted Mills Reef ‘Bespoke’ Hawkes Bay Chardonnay 2016 at a Chardonnay wine tasting. It was number 6 in a line-up of twelve chardonnays and followed Penfolds Reserve Bin 15A Adelaide Hills Chardonnay 2015, a glorious, focussed, leesy, funky, youthful, white Burgundy look-alike. The big, bold, buttery, oily and seemingly overripe ‘banana bike’ confectionary flavours of the ‘Bespoke’ just didn’t gel with me at the time. Mills Reef had sent me a bottle so I decided to take it to a friend’s place for dinner when I learnt salmon was on the menu. Well, what a difference time and place and the natural drinking environment makes. The wine a bold, oaky, buttery style and the taste powerful with just a hint of peach and a smooth oily flow. Oven baked salmon proved to be the perfect foil – the power of two creating harmony. Served with only natural winter chill, my red wine loving friend, who doesn’t usually drink Chardonnay, loved it. Mills Reef says it is made in a retro 90s style and it slots in between the top tier Elspeth and the mid range Reserve. It has 13.5% abv, a screwcap closure and costs NZ$30-$35 a bottle. Find out more www.millsreef.co.nz. This entry was posted in #nzwine, chardonnay, hawkes bay and tagged 2016, Mills Reef, retro by Sue Courtney. Bookmark the permalink. Great teview Sue and so glad there ‘happened to be’salmon to seal the deal.